Misogynist remarks such as this only pushed women further to fight for their voting rights, forming a movement that would later earn them these rights. The suffragette movement, as it is called, is exactly the springboard that women around the world needed to prove that they’re no less than men (check out the 2015 film Suffragette to know more). Fast forward to today, it’s common to see women at the top of their game, making huge differences to society in different aspects. Take for example these Filipinas who are fighting for a different cause—saving Mother Earth. Anna Oposa, co-founder of non-profit organization Save Philippine Seas (SPS), is on a mission to save our country’s rich marine life from dying. Her work mostly revolves on protecting the Philippines’ coastlines and marine ecosystem through information dissemination and community-based projects. Dubbing herself as the “Chief Mermaid,” she’s worked her way from being a graduate of English Studies in the University of the Philippines Diliman to one of the leaders in environmental conservation. 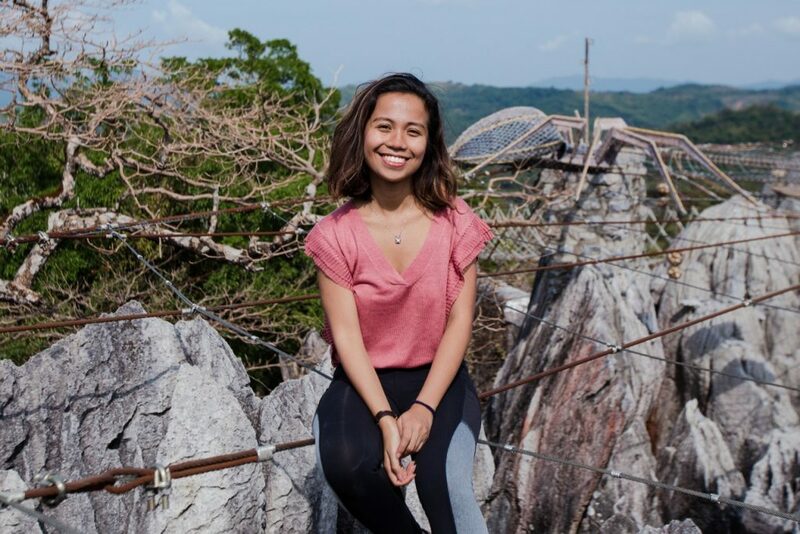 Aside from SPS, she also founded the Sea and Earth Advocates Camp in partnership with the U.S. Embassy in the Philippines, an environmental education and leadership program that aims to empower the youth to become conservation leaders themselves. Does the name Gina Lopez ring a bell? You might know her as the former secretary of the Department of Natural Resources (DENR). 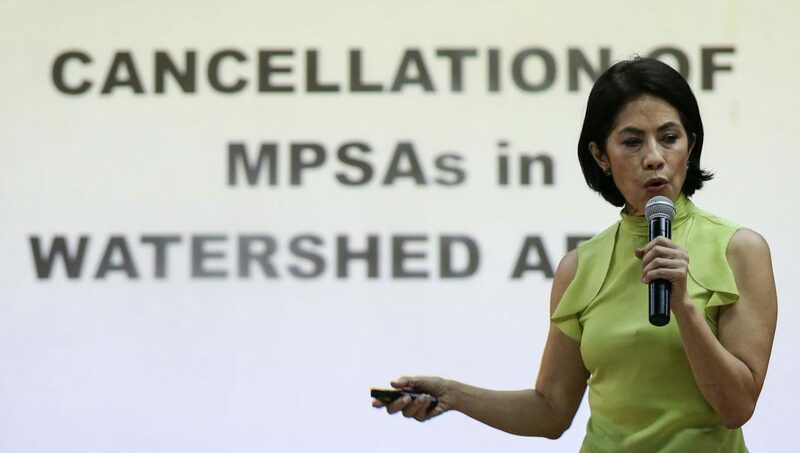 But more than that, she is a staunch critic of mining in the Philippines, which drew the ire of many corporations and pro-mining government officials. This eventually led to the “rejection” of her DENR post in 2017. During her tenure, she was able to cancel the contracts of dozens of mining companies. She also spearheaded the DENR’s first public hotline where the public can report any environmental violation they come across. She also pushed for the establishment for more protected areas in the country such as the West Panay Mountain Range National Park. Sustainable beauty and personal care brand-slash-social enterprise Human Nature is founded by sisters Anne Meloto-Wilk and Camille Meloto. When Anne and her husband were in the United States for their work with Gawad Kalinga (GK), they noticed that most of the ingredients found in eco-friendly products such as coconut and aloe are actually grown locally in the Philippines. Camille, who was already a professional in the cosmetic industry, later joined the venture and the rest is history. The sisters make sure that the products are safe and environmentally sustainable, all while employing GK residents as their full-time staff. They also help local farmers by sourcing their products’ ingredients directly from them. Vani Vergara left her job as global make-up brand MAC’s public relations manager to fulfill a childhood dream: to be a marine biologist. She’s currently the director of Reef Check Philippines, a non-profit organization dedicated to monitoring our country’s coral reefs. She’s currently leading Reef Check’s efforts in saving the country’s coral reefs by spreading awareness and training divers to dive with a cause. On weekends, she works with certified divers hands-on to teach them the proper methods of assessing the health of corals. Last recap, I swear: 2018 pushed me way outside of my comfort zone and I used my small voice for a big agenda. 2018 was a long year for the fight against #PlasticPollution, and although my introversion gets the best of me sometimes (most of the time), I am glad that I showed up on these occasions to talk about my experiences in running an eco-minded business as well as being a conscientious member of the La Union surf community. The word “influencer” has been watered down to the equivalent of someone peddling empty endorsements and this is where I challenge those with large social media followings to USE YOUR INFLUENCE FOR SOMETHING GOOD. Actually, I challenge everyone to do that this year: to find something in the world that needs to be fixed and think of the tiny ways you can start a movement, even if it means just talking to your closest friends and family. We have to continue talking about the hard things, the important things, and the things that will allow us to go on living. The reason that social media can feel so heavy yet so weightless and senseless is because we are not churning out messages of value as much as we should. We settle too much for what looks good and the potential to do good via a medium designed to do amazing things is wasted and ignored. This doesn’t mean that you have to carry the raincloud of resentment over the world’s sick problems all the time and that we can’t enjoy life anymore. Of course, we can and we should. Which is why we should start with small steps and encourage more people to do the same to get an effect multiplied by the millions. I know that I lack the knowledge, experience, and most of all, the energy to sustain the momentum necessary for real change. More people have to join the conversation, small and big voices alike. Will you use your voice for something good? If you have a project in mind, please get in touch with the following groups and individuals who have helped me find my voice: @launionsoul @feedinc_ph @projectcurma @s.e.a.movement @plasticfree_bohol @planetcora @cleanseaspilipinas @antoinettetaus I can’t do all the talking. You may not know it now but the world has been waiting to hear your voice. In an effort to raise awareness about the country’s growing trash problem, La Union surfer Camille Pilar attempts to clean up the country’s beaches one by one by picking up all the garbage pieces that she sees. Notably, she has also been taking snapshots of trash on beaches and public places. She shares these photos on her Instagram account called Banned from the Beach that’s solely dedicated to spread awareness. She also encourages her followers to send her photos of trash so she could also post it on her account. As a conservationist, Anne Dumaliang’s appreciation for nature has led her to take responsibility for the environment. As project manager of Masungi Georeserve, Dumaliang leads the conservation of the 60-million-year-old karst formation, a landscape made of limestone, in Rizal. The approach at Masungi aims to fix the conflict between humans and the innately diverse ecosystem while raising awareness among nearby communities. “In our case, we are conducting environment and landscape conservation for a 60-million-year-old karst terrain and ecosystem, making sure that we are able to keep it alive for the generations to come,” she said in a previous interview with Nolisoli.ph. Jen Horn is behind MUNI PH, a community that advocates for sustainability and “changing mindsets about how we shop, eat and travel.” In 2012, MUNI organized cause-driven community meet-ups about topics such as social enterprises, minimizing waste, and much more. This paved the way for MUNI to host their first MUNI Market which showcases sustainable products and services.